If you enjoy large-scale RTS games, Blaze of Battle may be the game you’re looking for. Building a gigantic city, attacking other kingdoms, and feeding a pet dragon – Blaze of Battle offers all of these in a shiny package. If you need help to start your adventure in this exciting and dangerous world, you’ll find all the information you’ll need and more below. Welcome to Blaze of Battle: Are you ready to build the greatest kingdom? City construction and management is the most important feature of Blaze of Battle. The game has no story – as soon as you start the game, an old magician says hello to you and wants you to construct your first building. After that, all you have to do for about 1 hour is to click on places marked with arrows. Blaze of Battle wants you to complete a long and detailed tutorial task. The advantage of this is that when the tutorial ends, you are getting a “ready-to-use” kingdom. You will even advance on new ages multiple times – unlike similar games, we can say that once the tutorial is complete, you’re ready to do almost every activity in the game. Your first and foremost goal is to build and grow your city. There are 64 different buildings that you can construct and each one has a different purpose. Your main building is, of course, the Civic Center: You need to upgrade this building to advance to a new age. 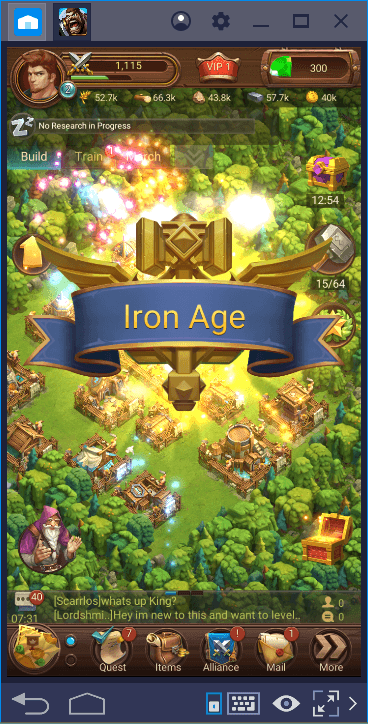 Switching between ages allows you to unlock both new types of buildings and create a visually distinctive kingdom. However, to upgrade the Civic Center, you must first complete the construction of other buildings in your city and upgrade them. So the Civic Center can be upgraded latest. In this context, all buildings are interconnected: In order to start a particular construction, you must first complete another. You cannot run two different projects at the same time. Blaze of Battle has five different resources: Food, Wood, Stone, Iron, and Gold. You have to build a variety of buildings to produce all this. Different buildings are needed to increase your military power and to do research too. 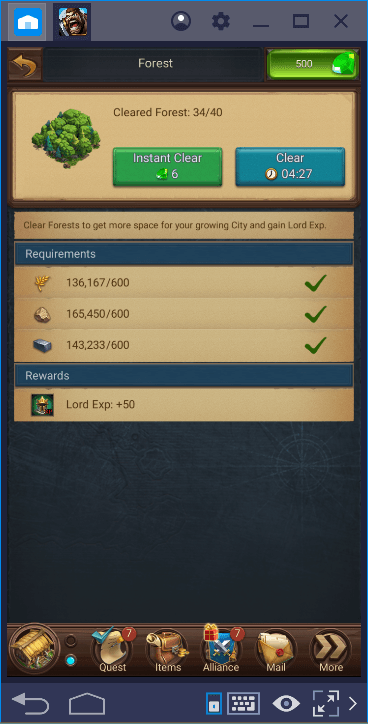 In other words, the number of buildings in your kingdom will be increasing quite quickly – to gain space, you can clean the forests around you. Blaze of Battle buildings have been discussed in detail in another guide, but for the scope of this article, let’s say that unlike similar games, you can continue to construct all the buildings until you reach the mid-game phase without any resource shortage. Construction costs are kept particularly low, which means that you can start advanced activities in less time. For the same reason, you can track different growth strategies. We’ve talked about some of these in our Tips and Tricks guide. Building and managing a city is not the only thing you can do in Blaze of Battle. Your city is under protection for one hour after the game starts for the first time. However, after this time expires, it will be open to attacks. In other words, any player on the world map can attack your city. Of course, you can do the same. If you want, you can protect your city from attacks by buying protection scrolls, but who wants to live forever? 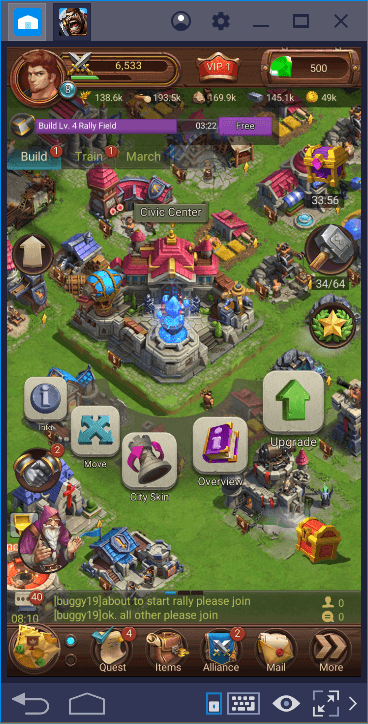 Let’s start by switching to the world map: For this, you need to use the blue buttons under the interface. You can attack monsters. You can attack all monsters that roam freely on the map. Do you remember King of Avalon’s monster hunt? Blaze of Battle uses the same system. Every monster you’ve managed to beat will give you useful loot. However, to attack monsters, you must first have a dragon. Blaze of Battle looks like King of Avalon in this respect too. 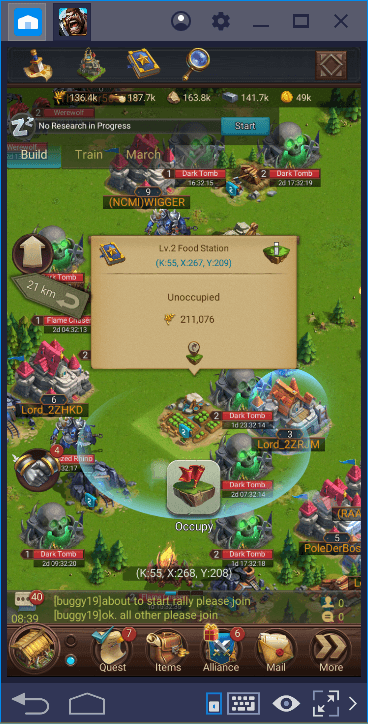 You can organize a raid for the dungeons. 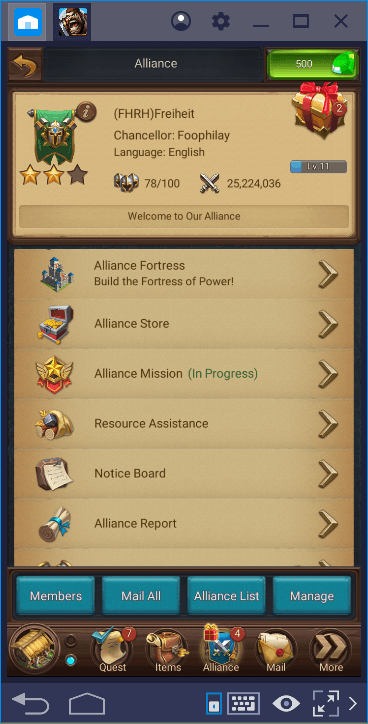 This is not an activity you can do on your own, but if you are a member of an alliance, you can arrange a raid for the dungeons on the world map with at least two members. These raids give you valuable loot called “demon treasure”. You can start joining these raids at the mid-game stage. You can collect resources. The resources you need are also available on the world map. So instead of producing them in your city, you can choose to collect them from the “outside”. But keep in mind that such places are “free-for-all”: So, resource points may require you to go into battle with other players. In the beginning, just use the resource points that are close to your kingdom and don’t go too far. You can attack other players. 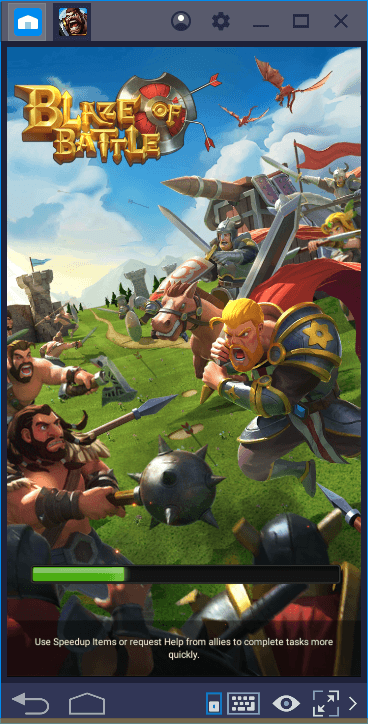 The most important activity on the world map is that you can attack other kingdoms. 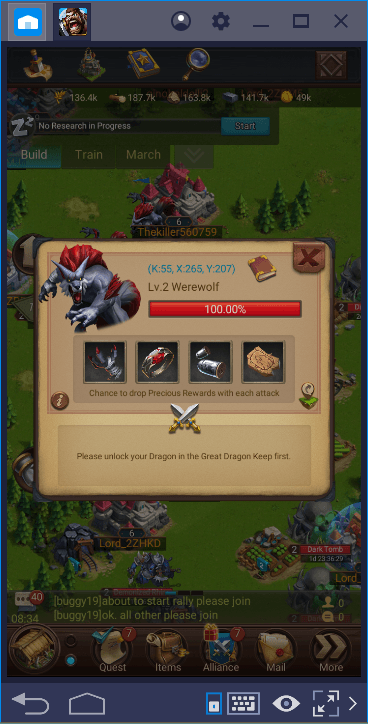 Simply click on any kingdom and press the “attack” button. Of course, it is not so easy to do this: First, you must reach a certain combat power and army size. In the guide about the battle mechanics, we give more information about this subject. The best advice we can give you as you begin the game is to join an alliance. 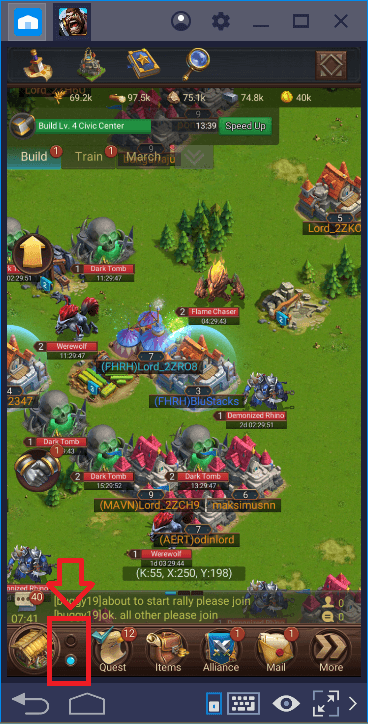 Alliance members can transfer resources between each other, send help to each other to reduce construction time, and build a fortress to gain lots of boosts. 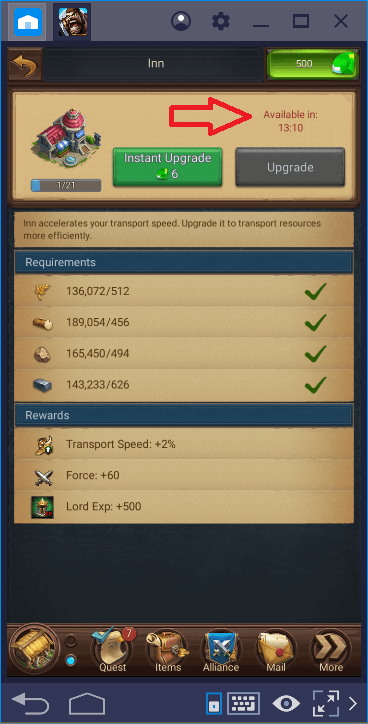 Alliance mechanics offer some opportunities to use the BlueStacks multi-instance feature too – we’ll refer to this in our Tips and Tricks guide. If you liked King of Avalon, we highly recommend you to try Blaze of Battle too. You can think of Blaze of Battle as a more advanced version of King of Avalon that offers many exciting features. 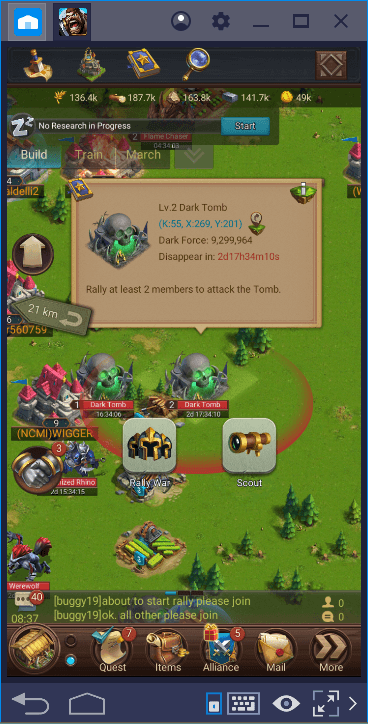 We can say that it is also a suitable option for beginners of mobile RTS / conquest games because of the detailed tutorial missions. 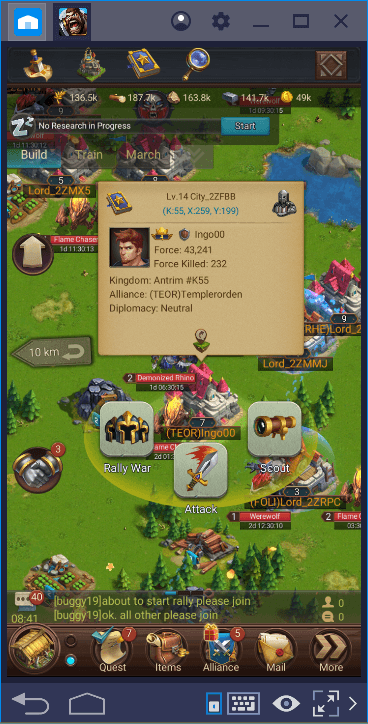 In our other guide about this game, you can find detailed information about all its features and use the tips in them to grow your kingdom much faster. We are sure that this will be a fun and exciting adventure – join us in the world of Blaze of Battle!